I tend to created a simple look to what I do but love the outcome. I keep busy with my family and try to work on crafts at night when they go to bed. Here are a few items that I have been creating for our family reunion. 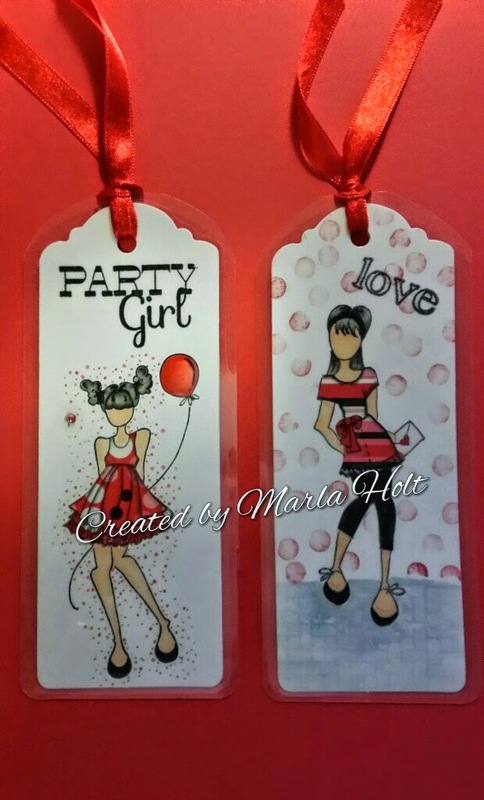 Below are book markers for a few girls that love to read. 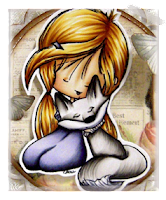 I used the following Prima Dolls by Julie Nutting. They are Cling Mounted Stamps and they are so cute. I stamped the image of the book marker and the color the hair and skin with Copic Markers. 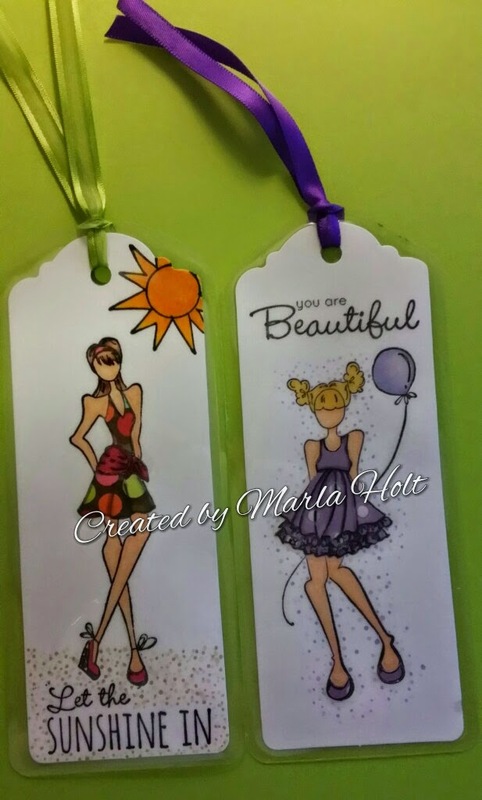 I then stamped the Prima Dolls on paper that I wanted to use for their clothes. (This is a great way to use scrap paper/material) Then cut & pasted the clothes to the book marker; once they were complete, just laminated. I hope the girls love them. I thought I would try something different and used my Copic Markers to color another Prima Doll-Becky and attached her to a wooden picture frame. I know there will be a few people in the family wanting this picture frame. I would love to hear your feedback. 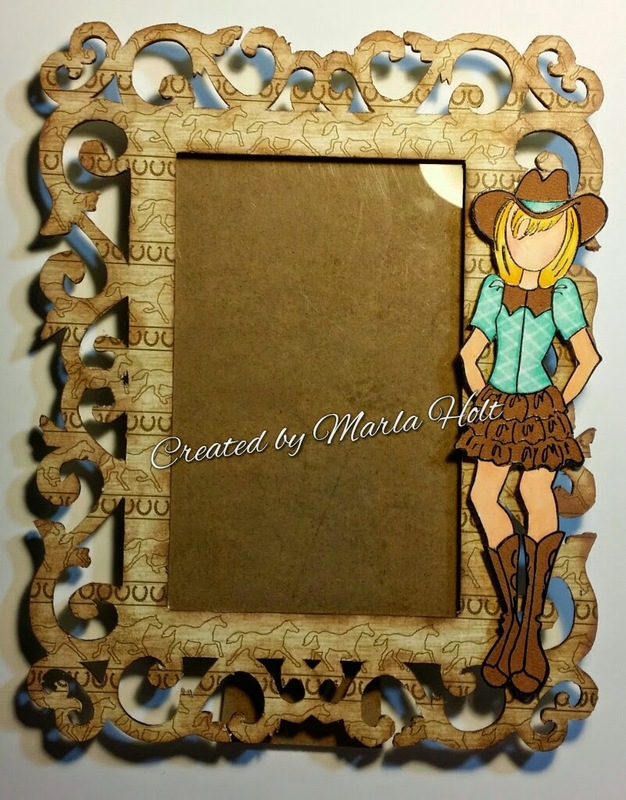 Have you every tried using your picture frames for your creative work?